Beer, wine and hard liquor may seem to fly off the shelves each weekend at a given storefront, but there’s much more to these sales than the bottom line. More businesses today are looking toward package store POS software to organize their checkout processes. Cashiers ring a product through the system, and this rapid sale allows managers to see sales trends. Liquor store software contributes greatly to a business’s marketing strategy to increase sales and improve customer satisfaction. Part of daily marketing is keeping customers aware of both short and long term sales. A cashier starting work in the morning may not be aware of all these sales, however. Liquor store software can provide all sales information on the home screen, for example, or be programmed to pop data up as sales progress through the day. Cashiers relay that information to customers walking in the door, increasing marketing visibility. Sales numbers can coalesce into vague totals when proper software isn’t organizing the information. As sales continue through the day, managers can access software sections where favorite products are quantified and compared to one another. Managers may see that beer sales peak around Friday, for instance, whereas wine sales are more prevalent early in the workweek. All this information helps stores market effectively for increased sales. There’s always some products that don’t seem to sell well, making inventory sit for weeks or months at a time. Store software can help managers pinpoint those problematic items and market them better for rapid sales. Flavored liquors may need a sales campaign with mixers sold at a discount when purchased together, for example. Customers might just need a better visual to entice more sales from them. 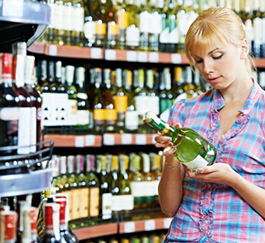 By using package store POS software, store managers can actually narrow down which customers prefer certain products. With this information in mind, specialized emails and coupons can be sent to homes and smartphones. Marketing on digital platforms places the company’s name right in consumers’ hands, reminding them of personal product needs. Package store POS software doesn’t have to be expensive, so look for a basic system initially. As workers use the system, managers can alter or add to the software as they see fit. Customizing liquor store software only makes it work harder for a successful business plan and increased sales.